This week's blog is all about the importance and power of sleep. Sleep affects all aspects of our life and how we function day to day. From our health, weight, and athletic performance to our mood, safety, and mortality. Consistent, good quality sleep is grossly underestimated and neglected in today's society. I don't mean to scare you with these shocking facts on what sleep deprivation can do to us, but I strongly believe we all could make a little more effort to put sleep where it should be on our list of priorities - #1. Just an FYI: Everybody needs 7-9 hours of sleep per night. 7 hours or less of sleep can be defined as sleep deprivation. 1% of the world's population has the ability to function well off of 5 hours per night, but you have more chance of being struck by lightning than having this unique genetic ability. If you're dieting and losing weight, but not getting enough sleep, 70% of all the weight you lose will come from lean muscle, not fat. This is because a lack of sleep significantly affects our ability to be insulin resistant. Insulin is our fat storing hormone, so our body literally becomes resistant at giving up fat when it is underslept. Studies have shown that people sleeping 4-5 hours a night will on average consume 200-300 additional calories per day. That's a weight gain of 4-7kg per year! So how can we alter our nutrition to help us sleep better and not gain weight? Protein before bed. Protein is broken down by our bodies into an amino acid called tryptophan, which is a precursor to melatonin - our sleep hormone. An Inline Nutrition protein shake before bed also helps to ensure we aren't too full or too hungry before bed. Just consider the fact that the only way to force a species to sleep less is by starving them - don't go to bed hungry. Eliminate hidden sugars. Hidden sugars disrupt our sleep by making us "tired but wired" when we hit the hay. Inline Nutrition's protein powder has no hidden nasties and is refined sugar-free. "Sleep is the greatest legal performance-enhancing drug that most people are probably neglecting"
6 hours of sleep or fewer results in lower peak muscle strength, running speed, and agility and leads to a 30% decrease in time to physical exhaustion. Sleep deprivation also increases the risk of injury in athletes. Sleep deprivation causes death - every 30 seconds there is a car accident linked to a lack of sleep...The World Health Organisation (WHO) has classified nighttime shift work as a probable carcinogen... Sleep deprivation literally kills! Unfortunately, sleep is not like a bank - we can't go into debt throughout the week and expect to pay off that debt over the weekend by "catching up on some much-needed sleep". Consistent 7-9 hour sleeps is the 'magic pill' to your wellbeing. I wish we could store sleep like we store fat for times of famine. What an amazing evolutionary tool that would be! However, this is simply something humans can not do. This is probably due to the fact that humans are the only species that deprive themselves of sleep for no apparent reason. A lack of sleep is a recent occurrence and perhaps technology plays a large role in this epidemic. Screens provide us with so much artificial light throughout the day that our melatonin-producing abilities are impaired. One hour of screen time can delay our melatonin production by 3 hours. So whizz up a protein shake, turn off your phones and laptops, and sleep as if your life depends on it because, in a way, it does! The Lowdown on Legumes - Why You Should Be Eating Them! PB + Choc Coconut Rice Crispy Slice! 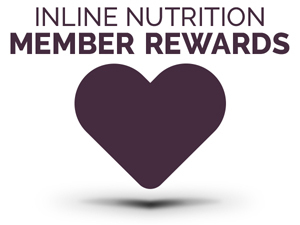 To show our appreciation to our returning customers, we are offering a points system for money spent. The points can then be redeemed for product once you the customer has accumulated enough points.